For the second straight year on the iconic street course, Rossi dominated the competition at the Acura Grand Prix of Long Beach. The Andretti Autosport driver led all but five of 85 laps from the pole position Sunday to become the first back-to-back winner at Long Beach since Sebastien Bourdais won three in a row from 2005-07. Driving the No. 27 NAPA AUTO PARTS Honda, Rossi cruised across the finish line 20.2359 seconds ahead of Team Penske’s Josef Newgarden — the largest margin of victory at Long Beach since Unser Jr. won by more than 23 seconds in 1995. 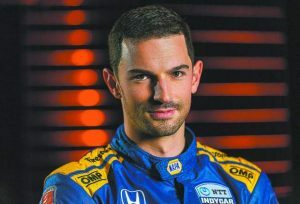 Rossi also delivered Andretti Autosport its 200th race victory and sixty-three of those wins have come in IndyCar Series competition. Team owner Michael Andretti had high words of praise for Rossi after the race. The Series gets a break and heads back to Indianapolis Motor Speedway for the INDYCAR Grand Prix on May 11.